Boingo Cares - Boingo Wireless, Inc.
We understand that long-term value creation for shareholders is only part of our responsibility. We also have an incredibly important role to play for our team members, our customers, and the communities we serve. That was true when we started the company in 2001, and it’s even more relevant today as our influence continues to expand through growth. We believe diversity is a cornerstone of success (And research bears this out!). At Boingo, everyone is welcome. No matter race, gender, age, religion, or identity – we strive to be a place where all can bring their whole, authentic self to work. Boingo is a founding member of LightReading’s Women in Comms, a platform that empowers women to champion change and redress the gender imbalance in the workplace. We’re proud to support PledgeLA, an initiative from Los Angeles Mayor Eric Garcetti and the Annenberg Foundation that is working to bring a more inclusive and diverse approach to recruitment and retention in technology. Some of our most talented Boingoites are veterans. We’re grateful for their service and proud to be part of their civilian career path. The Boingo Veterans Club was started by our veterans to mentor and support each other as well as servicemembers and veterans in the communities where we live and work. 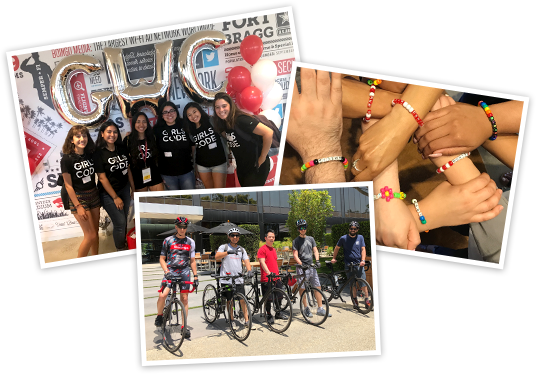 Boingo Women is an employee club that celebrates diverse talents and is dedicated to empowering women to follow a fulfilling career through education, networking and mentoring opportunities. Boingo continually strives to minimize our impact on the environment. Working toward a sustainable future is a win for everyone and we’re proud to do our part. The Business Intelligence Group’s annual Big Awards for Business recognized Boingo as a 2018 Green Company of the Year. The City of Los Angeles certified Boingo as an official Los Angeles Green Business based on our workplace sustainability initiatives. The Boingo Green Team is passionate about saving the planet through eco-friendly initiatives, from beach cleanups and Earth Day celebrations, to switching Boingo offices to use post-consumer waste (PCW) paper products. Boingo employees can earn some green for going green. Employees who carpool, walk, bike or use public transportation during their work commute are reimbursed $140/month. Boingo sits on the Connected Cities Advisory Board. The leadership group formed by the Wireless Broadband Alliance (WBA) seeks to develop framework for the social, economic and sustainable operation of smart cities. Whether volunteering or donating, charitable giving goes a long way in strengthening our communities and helping others. 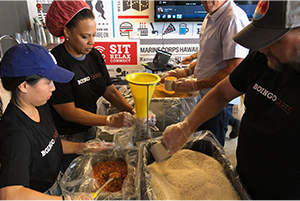 Boingo’s Matching Grant Program amplifies employees’ cash contributions to the charitable organization of their choice. All of us have been touched by cancer. 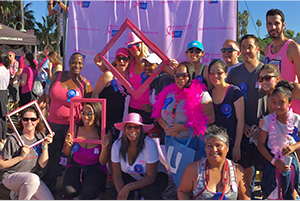 Boingo is passionate about the fight against cancer, fundraising for events like Santa Monica’s Making Strides Against Breast Cancer. We salute active and retired military and look for ways to show our appreciation. 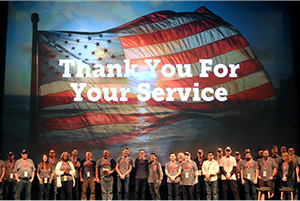 Boingo has worked with organizations like Operation Gratitude to send care packages to troops and wounded warriors. The next generation of wireless won’t build itself. It’s up to us to inspire, educate and equip a diverse workforce of the future through programs that create opportunity and break new ground. Bixel Exchange is focused on creating a more prosperous Los Angeles. Boingo supports the initiative’s Tech Talent Pipeline and works with community college students to inspire and guide them on the path to successful careers. CEED is committed to the development, recruitment, retention and graduation of underrepresented engineering and computing students at UCLA. Boingo hosts workshops for CEED students to review what it takes to land a rewarding tech career. Boingo sponsors the Girls Who Code (GWC) Summer Boot Camp Field Trip. GWC is a national non-profit organization dedicated to closing the gender gap in technology. We help Kid City’s college-bound students with summer internship opportunities, interview preparation, and participation in Kid City Career Day. Path Forward is a nonprofit organization that empowers people to restart their careers after time spent focused on caregiving. They fulfill this mission by working with companies like Boingo that create midcareer internships—“returnships”—to give women and men a jumpstart back to the paid workforce. 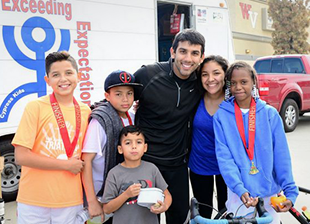 Boingo is the lead sponsor of Exceeding Expectations, a program that serves inner-city populations and encourages at-risk kids to move their lives in a positive direction through the sport of triathlon. Money matters. Our financial wellness resources are designed to guide employees on the right path for today and the future. There’s many reasons Boingo is one of the Best Places to Work in LA. One of them is our competitive pay and bonus package. Working at Boingo comes with more perks than a paycheck. We offer an incredible benefits package that includes equity for everyone, competitive pay, Quarterly Incentive Plan (bonus), flexible spending accounts (healthcare and dependent care), and a 401(k) Savings Plan with an employer match. To help prepare employees for retirement, our 401(k) Savings plan is opt out, meaning employees are automatically enrolled. This “behavioral” finance approach means 74% of all Boingo employees are actively saving for retirement, while enjoying a company match. We conduct financial literacy training throughout the year. Seminars have included retirement planning, managing student loan debt, and first-time homebuyer education.